Huazhi City Weiqi League Sports Industry Co.,Ltd (hereinafter referred to as “the Company”) is a modern enterprise engaged in research, investment, and operations of commercialized mind sports games focused on Weiqi. In particular, it is engaged in the operations of the City Weiqi League, planning and organization of mind sports games, development and operations of sports cultures building complex, training programs for mind sports games, internet product development, cultural creativity, and development of their derivative products. South China Gaming Park is a professional arena operated by the Company for mind sports games. The Company aims to “build a top-notch Weiqi league”, while pursuing the vision of “a well-developed industry chain for Weiqi and an ecosystem of sports cultures”. To this end, the Company is dedicated to becoming a first-rate Chinese business leader of the commercialized Weiqi industry. Through market liberalization, the Company will advance the commercialization of the Weiqi industry in China, thereby eventually achieving mutual benefits among government bodies, enterprises, gamers, and the community. Over the years, the Company has received a variety of honors and titles, including “National Advanced Business Entity of Public Sports”, “Guangxi Sports Demonstration Base”, “Guangxi Cultural Demonstration Base”, and “（National）Fitness Demonstration Business Unit for Guangxi Citizens”. –The Company will promote the development of Weiqi culture in China, and popularize Weiqi knowledge among a population of over 100 million. 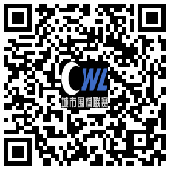 –The City Weiqi League as a brand will achieve a valuation exceeding RMB 1 billion within the next three years. –The Company will advance our flagship operations, while establishing standard Weiqi institutions in 100 cities across the nation. –The Company will develop Weiqi and its relevant businesses with an annual output value of RMB 100 billion. The championship is comprised of three stages, namely the opening (1 to 60 moves), the middle game (61 to 141 moves), and the endgame (142 moves to the end). For each stage, each team is required to alternate its players (i.e. institutional replacement). The winning team will be determined by one game. When the players are challenging each other, their coach and other teammates are permitted to study the game simultaneously. Subject to the game, each team is entitled to three times of technical suspension and three times of technical replacement. The coach is permitted to provide guidance, or request suspension or replacement, which spices up the gaming process with another “mind game”. The game will be more intriguing and dramatic. The relay game transforms the traditional gaming of Weiqi between two players into two teams with about 10 players in total. Such transformation accentuates collective wisdom and enhances the spirit of teamwork. Players are engaged in an open championship before a public audience. Groups of friends and family members, as well as groups of observers, are permitted on site to cheer up, encourage, or moderately distract the players, which will spice up the ambience of the championship. Famous Weiqi experts will be invited to the championship for explaining the strategies. Entertainment programs related to Weiqi will be performed, along with Weiqi cheerleaders to heat up the ambience. In addition, Weiqi knowledge contests will be included to encourage more participation, makingthis gaming event more interesting. These innovative measures transform the traditional Weiqi championship from a quiet, closed, and dull game between two individual players into a dynamic, open, and interesting game of collective participation. This makes Weiqi more appreciative and interesting, yet intriguingly competitive.